As a visiting student at Trinity, it has been important to me to learn as much about the city of Dublin and its people while I’m here, in addition to everything I’m learning at Trinity. Being from America, Dublin’s centuries-old architecture and history is remarkable. Its city centre alone offers an abundance of things to explore – I have never been bored. While Trinity College Dublin is located in the very heart of Dublin City, it’s not the only thing there. The vast majority of what Dublin has to offer is concentrated in the city centre, an area of no more than a few square kilometres. Therefore walking is generally a great way to get around the city centre, and with google maps at your side, it’s difficult to get lost. However, walking aside, Dublin is a very easy and convenient city to get around. Public transportation is good and getting better, taxis are plentiful and reasonably priced, and there are plenty of options when it comes to cycling. After walking, buses are the most convenient and practical way to get around. Bus service runs daily throughout the city, operated by Dublin Bus , starting at 6am (10am on Sun), with the last bus at about 11:30pm. On Friday and Saturday nights, Nitelink service runs from the city centre to the suburbs from midnight to 4am. Buses operate every 30 minutes for most runs; schedules are posted on revolving notice boards at bus stops. Fares range from €1.95 for short journeys all the way to €3.80 for longer trips. You pay on board the bus, using an automatic fare machine located in front of the driver. No Dublin bus accepts notes or gives change. The best way to pay (and to save money!) is by getting a Leap Card! These are smart cards which can be used on a variety of Dublin transport systems (Dublin Bus, DART, Luas and more). You can top up your Leap Card in shops or online and never have to worry about cash for buses. Leap Cards also entitle you to cheaper fares. What’s even handier is a Student Travel Card (which offers great discounts for Students) acts as a Leap Card automatically, and you can purchase a Student Travel Card by dropping into House 6 right beside front arch. 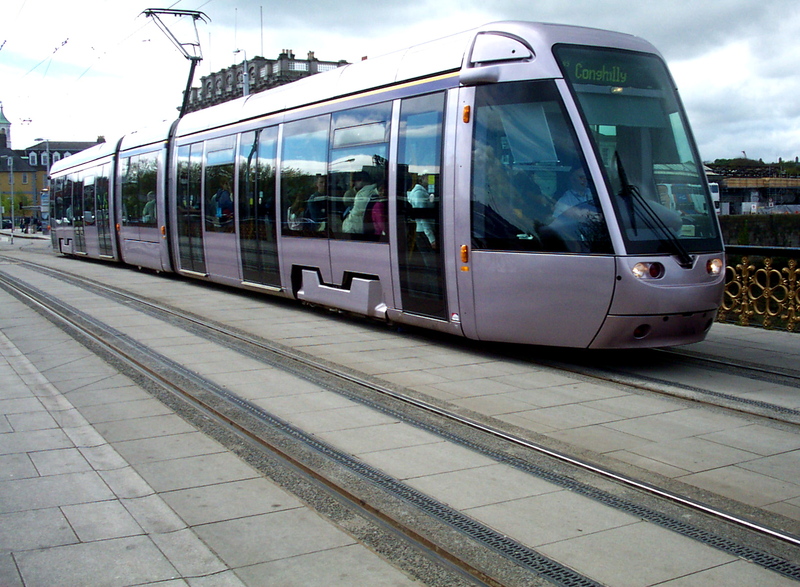 The sleek, modern (and wheelchair accessible) light rail tram system known as Luas runs from around 5:30am to 12:30am Monday to Friday, 6:30am to 12:30am Saturday, and 7am to 11:30pm on Sunday. (The last trams to certain stations are earlier—be sure to check the timetable). There are two lines, Red and Green: The Green Line links St. Stephen’s Green with Brides Glen in the south; the Red Line runs between the Point, near the O2 in Dublin Docklands, and Connolly Railway Station, down to the southwestern suburbs of Saggart and Tallaght. Fares range from €1.80 to €3.00 for a single ticket depending on how many zones you travel. Again, a Student Leap Card entitles you to cheaper fares and it’s very easy to tag on and off at Luas stops. The Luas Green Line stops at Milltown, which is only a 7 minute walk from Trinity Halls in Dartry! 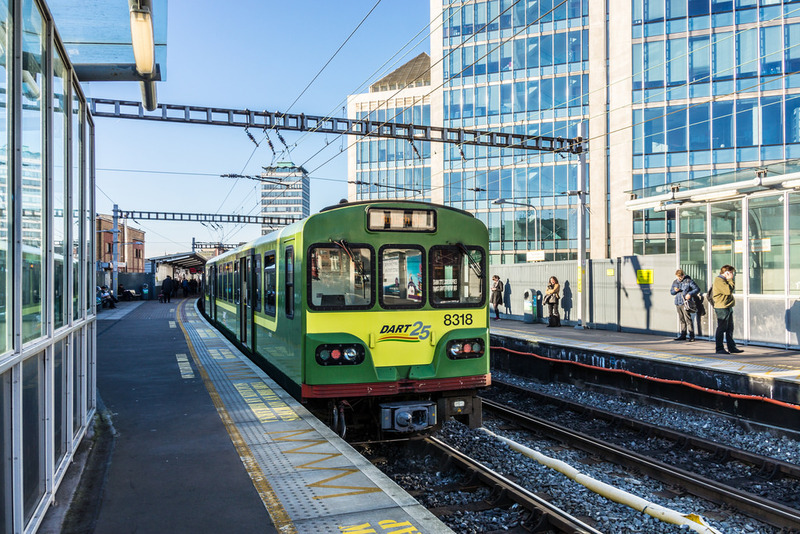 An acronym for Dublin Area Rapid Transit, the electric DART trains travel above ground, linking the city centre stations at Connolly Station, Tara Street, and Pearse Street (right beside the Hamilton end of Campus) with coastal suburbs and seaside communities as far as Malahide to the north and Greystones to the south. Service operates roughly every 10 to 20 minutes Monday to Saturday from around 6am to midnight and Sunday from 9:30am to 11pm. Getting around Dublin by bike means you don’t have to worry about sticking to bus timetables or being restricted by how much is left on your Leap Card. Whether you’re just popping down to the shops to pick up some milk, commuting to college or cycling to get fit and help the environment, cycling gives you the freedom to be flexible and spontaneous. Dublin City is a wonderful city for cycling with lots of dedicated bicycle lanes across the city. Many students opt to buy second hand bikes for their stay. Trinity College Dublin has lots of spots around campus for securing your bike. 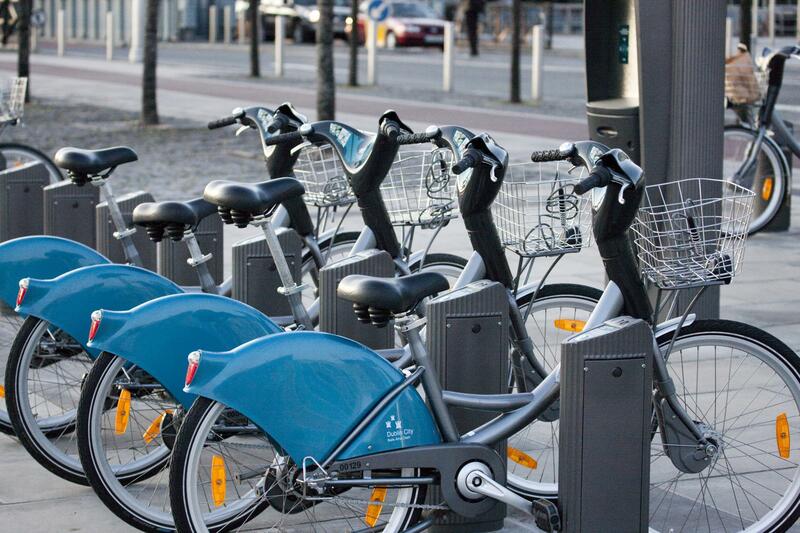 However if buying a bike doesn’t suit, the Dublin Bikes scheme provides 100 public bike stations around the city with 1500 bikes available for general public use. Pay an initial subscription of just €20 a year and you are free to use any of the Dublin Bikes for 30 minutes free of charge. After 30 mins of use, you will be charged a small fee. However, as everywhere within the Dublin Bikes zone is within a 30 minute travel distance, with a bit of forward planning you never need go over the 30 minute time limit. It’s a great way to save money and stay fit! Join a society. One of the biggest concerns commuter students have is that not being based in Dublin city centre will make it more difficult for them to make friends and really feel part of the college community. Joining a society not only introduces you to a large group of people that all share a similar interest but a lot of society events are also held during the day so you can get involved without having to wait for the late-night bus home. Get a light laptop. If you’ve yet to buy a laptop for university, I’d advise you to buy one that is light and easy to carry. Not only is it necessary for keeping up to date with lectures, assignments and additional online resources but it also reduces the amount of folders or notebooks you’ll need to carry around. The Asus Transformer Book T100 is a relatively cheap and light option. Get a locker. Trinity offers students the option of renting a locker for the year and I cannot stress enough how useful they are to the college commuter. They’re priced at €40: €20 cost with a €20 deposit that will be returned once the locker key is returned at the end of the year. However, lockers sell out fast so be sure to get there early* on the morning they’re offered. They generally go on sale in the Arts Block during the first week of term so keep an eye out for posters telling you when and where to go. *When I say early I mean really early. I’ve known people who’ve begun queuing at 6:30am. If you’re an Arts Block student you don’t want to arrive late and end up with a locker in the Lloyd Institute. It’ll be too far away to be of any use. Make the effort to get there early and reward yourself with a breakfast from Lemon afterwards. After you’ve secured it you can pack it full with the rest of your essentials. Invest in a good thermos or travel mug. Make your early morning bus a bit more bearable with a hot drink to wake you up (or to help you to fall asleep again). Keeping a few coffee sachets or tea bags in your locker will also help cut down on the cost of paying for coffees on-the-go. Hot water from the campus cafés costs 70c, that’s about 60c cheaper than your average coffee order. For a student those 60c savings will add up fast. Keep a box of cereal bars in there too. As a money-conscious student you’re probably going to bring a packed lunch with you (pack lunch the night before, nobody should sacrifice those extra few minutes in bed for a couple of sandwiches) but having a back-up snack for unexpectedly long or tiring days will definitely come in handy at some point. Keep your books and folders in your locker, rather than at home. This will also help ensure you get your work done in the library and avoid having to drag them home with you. After a long day at university, with an added commute, you’ll have little motivation to study once you get home. Get into the habit of studying in the library, doing some reading during your commute and keep your time at home for relaxing. Have I missed out on anything? What would be your commuting essentials? Aoife is a recent Trinity graduate and intern with the Global Relations Office. She spent her third year abroad in Paris and is dedicated to making sure international students feel at home. 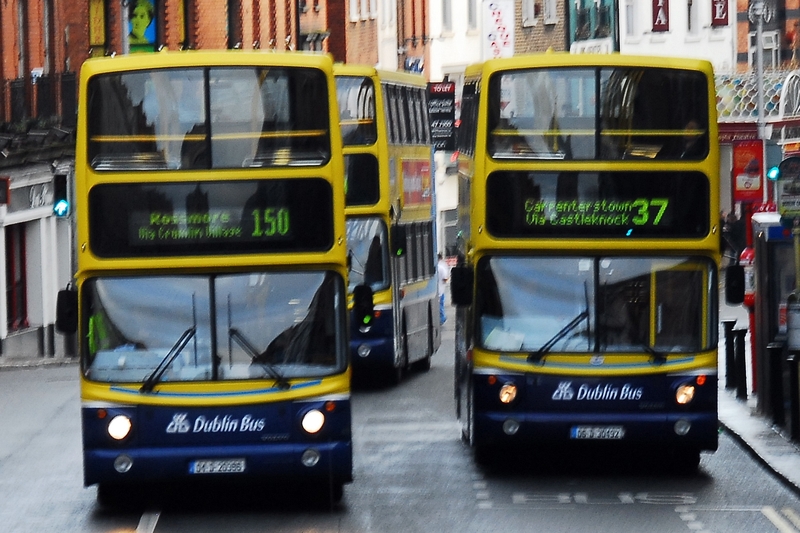 With a fleet of over 900 busses, wherever you want to go in the city Dublin Bus is likely to help you get there. Students staying in Trinity Hall use the 140 to get into college each day, and if they stay on it will end up at IKEA (where they can stock up on pots and pans). 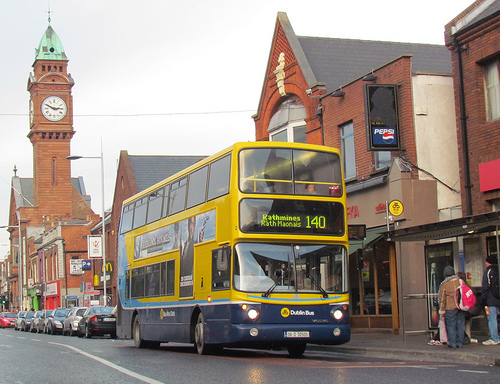 Dublin Bus is part of the ‘Leap Card’ system, where you can touch on with a prepaid card to pay your fare and fares begin at a discounted €1.45. Although the main services finish between 11.30 and midnight, Nitelink buses run throughout the night on simplified routes. 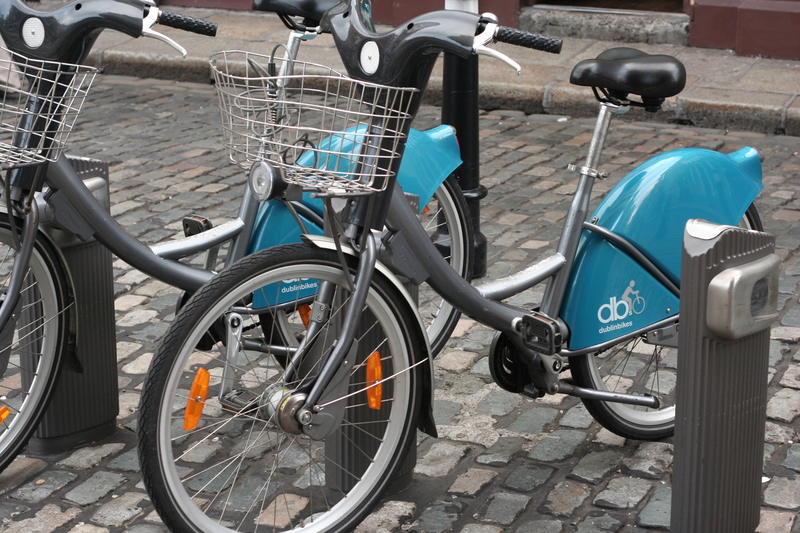 For the more health-conscious traveler, Dublin’s bike share scheme allows travelers to cycle around the city without the potential hassle of owning a bike. Users simply take a bike from their nearest bike station and return it to another at the end of their journey. It only costs €20 to subscribe and the first 30 minutes of each journey is free, making it the cheapest transport option in Dublin by far. Because the bikes are maintained by DB, and there is no requirement to return the bike to its original station, many find the service to be the cheapest and most convenient transport option in Dublin. Two tram lines operate within Dublin, affectionately named the ‘Luas’ (which is Irish for speed). If you live on the Luas line it is by far the most reliable and convenient travel option, unimpeded by traffic. Trinity Hall residents live a short walk away from the green line, which ends at St Stephen’s Green (a few minutes from Trinity’s campus, at the end of Grafton Street). Like Dublin bus, the Luas is part of the ‘Leap Card’ system, allowing travelers to swipe on and off. There are no ticket checks when passengers board the tram, however spot checks and fines do occur to keep the honor system running smoothly. Salthill: If the weather is nice, then Salthill is a must see on any trip to Galway. A beautiful long beach with a promenade makes a lovely walk with a cup of tea or hot chocolate in hand. West Coast: If you have enough time, Galway is a great place from which to explore the beautiful west coast of Ireland. 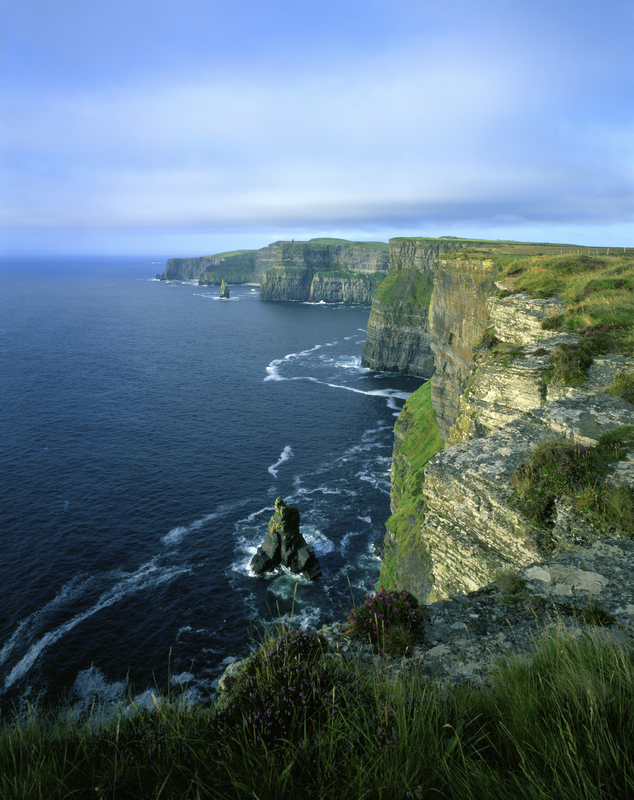 There are day trips that run from Galway to locations such as the Cliffs of Moher and Connemara for around 25 euros. It is definitely a really fun trip that has something for everyone, so happy travels! Irish History? New to Me!